Inside the station there is a gift shop with all kind of interesting and different things for sale. 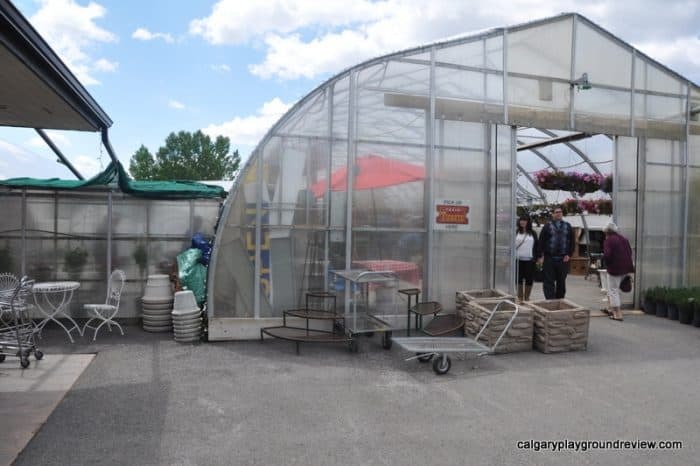 They also have a garden centre specializing in new and native prairie plants. 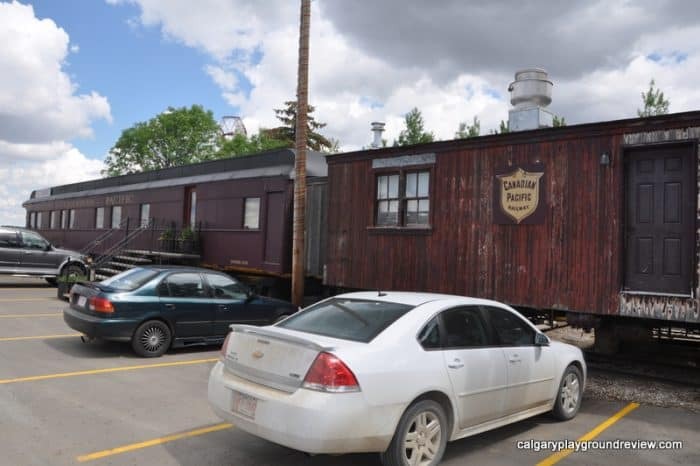 Nearby housed in two old train cars, is a restaurant. 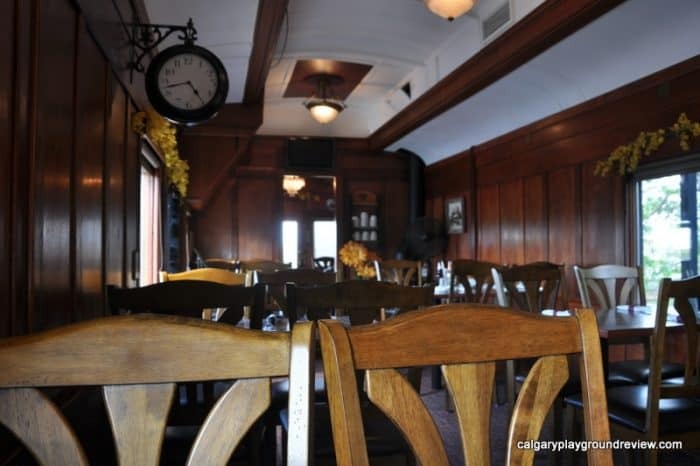 The eating area is in an old dining car. The restaurant serves soup, sandwiches burgers and more. We stopped in for chicken fingers and a beef dip after our excursion. 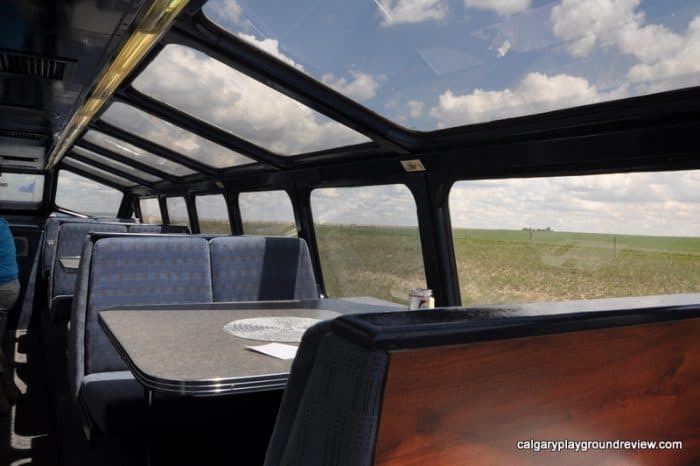 The train car atmosphere really gives the meal something extra. 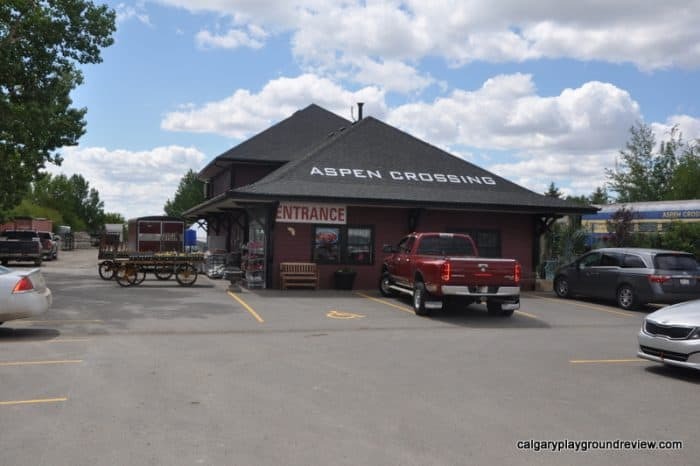 Aspen Crossing also has a campground, right along the train tracks. 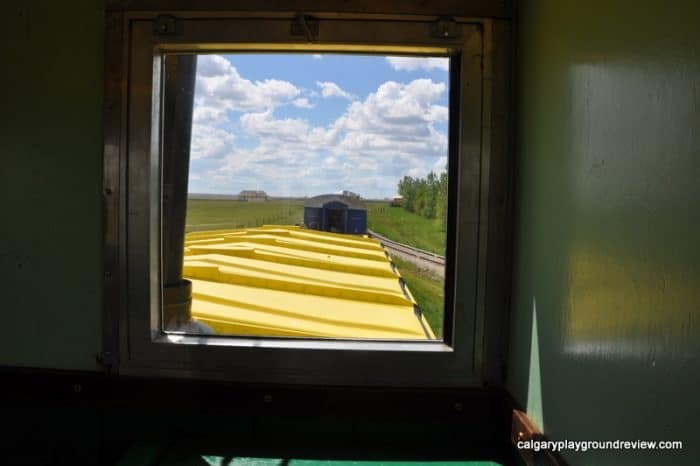 As well as Caboose Cabins – read a great review of the Caboose Cabins here. You pick up your tickets at the greenhouse and load the train at the small platform beside the greenhouse 15 minutes before your departure. When you get in you don’t have assigned seats, but you can pick a spot to call your own. Most of the train is open to everyone (aside from private cars for group bookings). 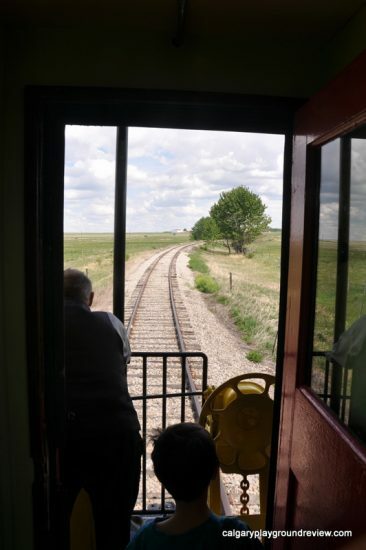 The observation car has great views but we found it a bit hot the day we were there. 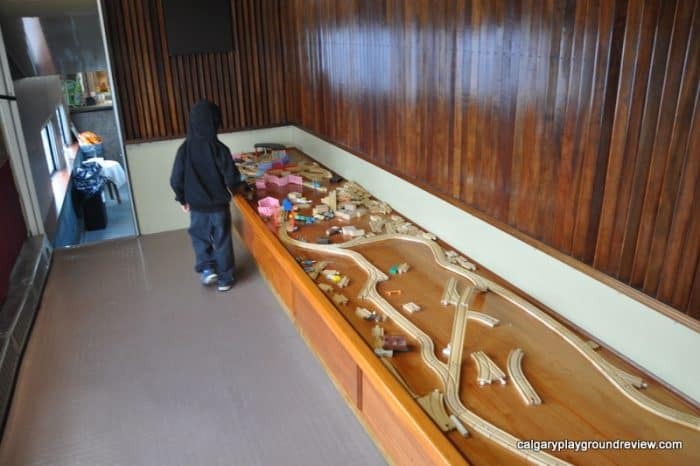 One of the cars has a huge set of wooden train tracks which would really help younger kids pass the time. There is a snack bar and you can also get table service – I found the food to be reasonably priced. 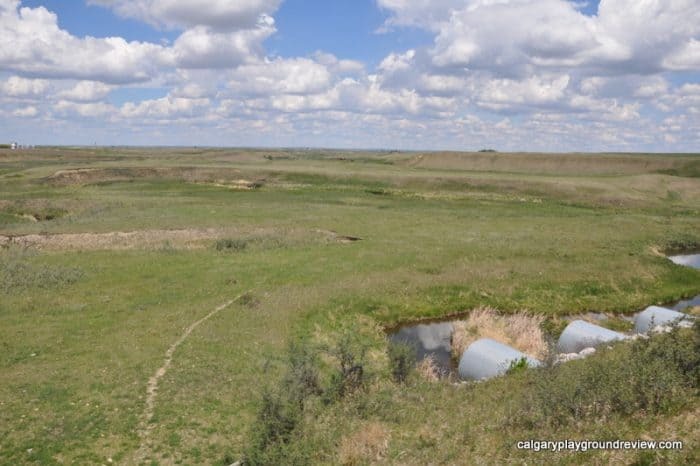 The food was not included in the Prairie Excusion but the trip is long enough that you pretty much need to get some kind of snack. There is an open car that is great for sightseeing and is also were much of the theatre takes place. It can get pretty crowded at exciting points. 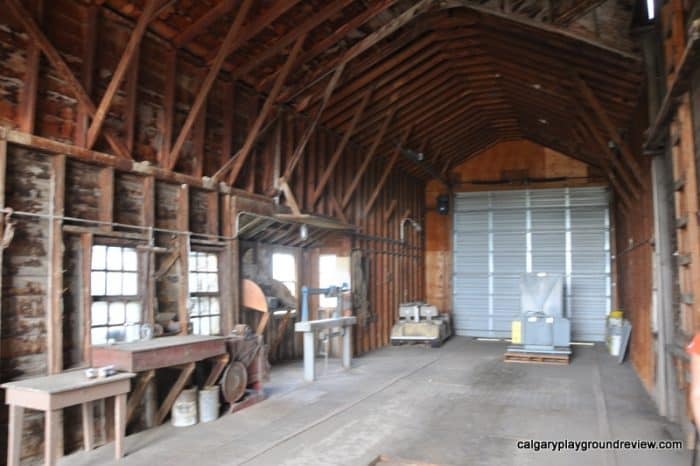 The caboose is going to be turned into a candy shop. 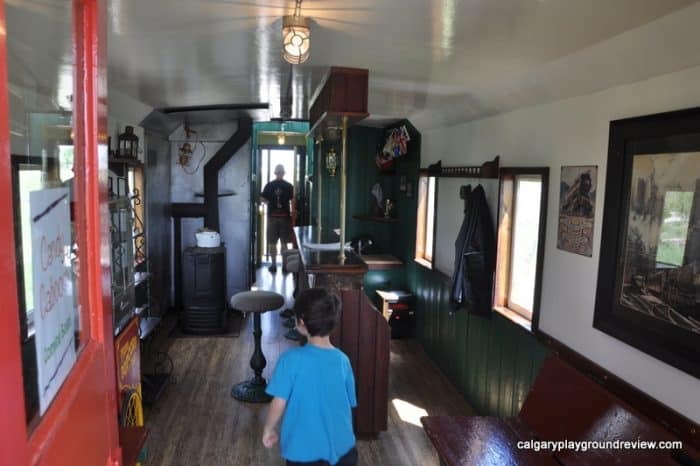 You can also sit up in the cupola of the caboose. 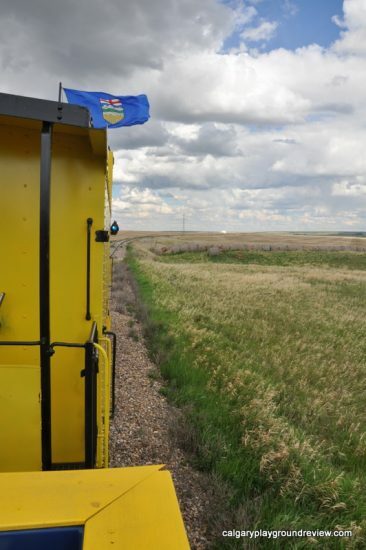 And stand at the back of the caboose. 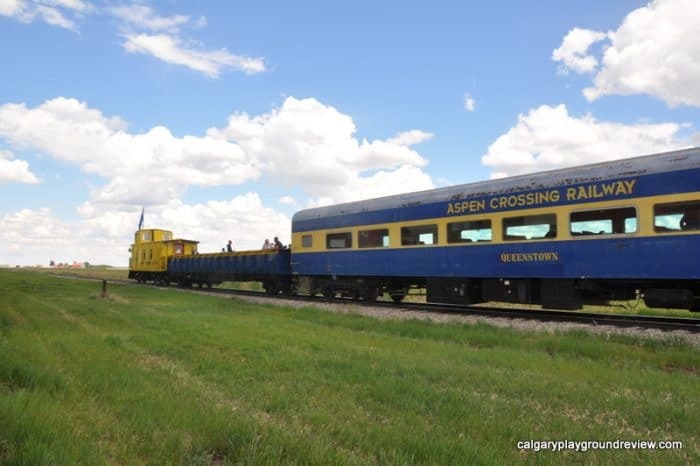 Aspen Crossing offers many different excursion packages most of which include train robbery theatre. 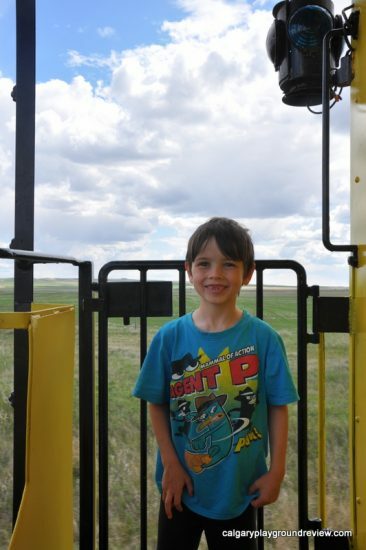 Tickets for the Prairie Excursion Tour (which my 7 year old son and I went on) are $75.99 for adults, $45.99 for children (25 months-14 years) and free for children 24 month and under. 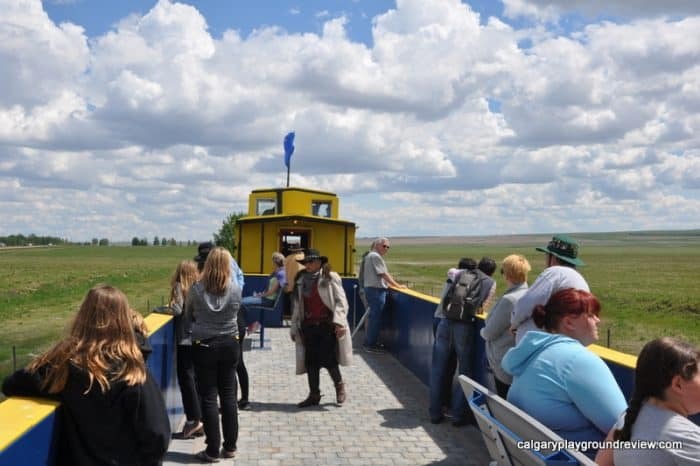 Tickets prices for other excursions vary a little and generally cost more if they include food. 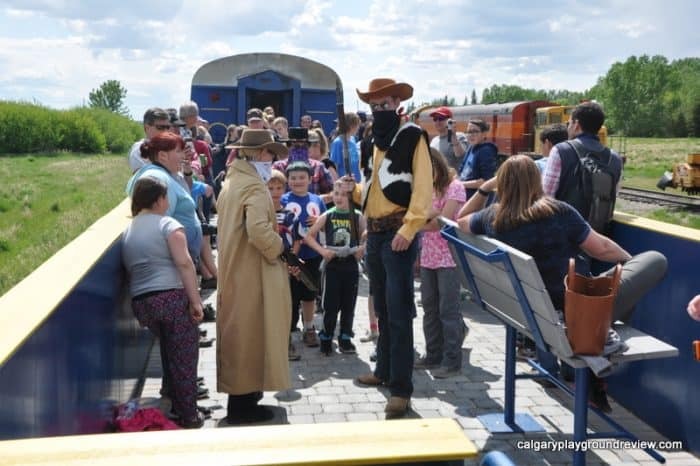 Our excursion was accompanied by Sheriff Boxcar and his deputies. They go along and interact with the passengers on the train, often with a group of children following along behind them. 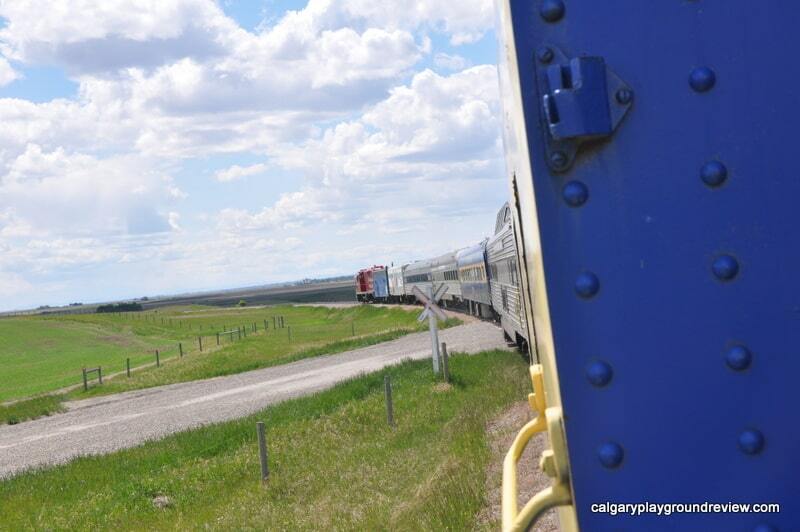 The train stops further along and picks up an old man who is being put out to pasture by his family. You can get a cue for when the next stage of the theatre is going to start by paying attention to when the train stops or changes direction. 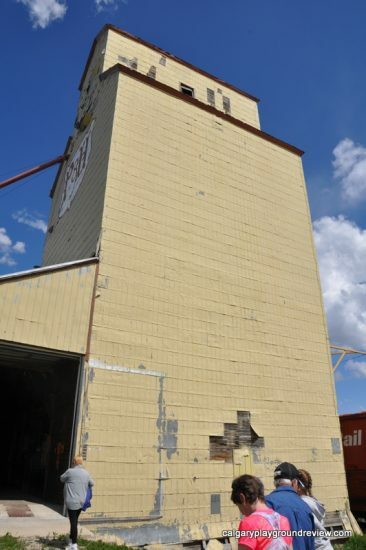 The destination for our excursion was a grain elevator. 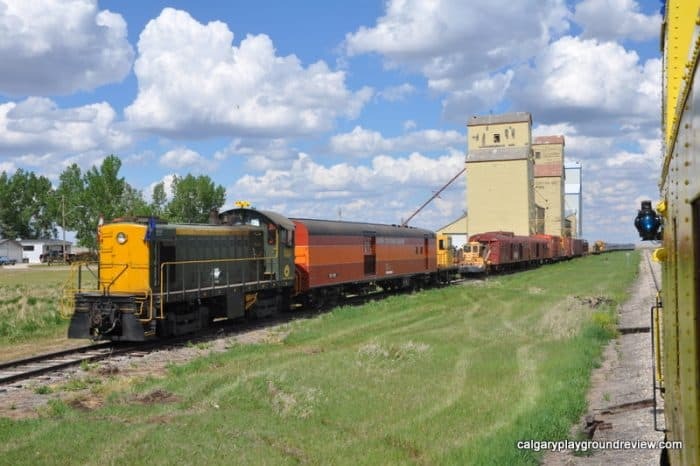 At this point you can get out, tour the grain elevator and take a look at some of Aspen Crossing’s other train cars. 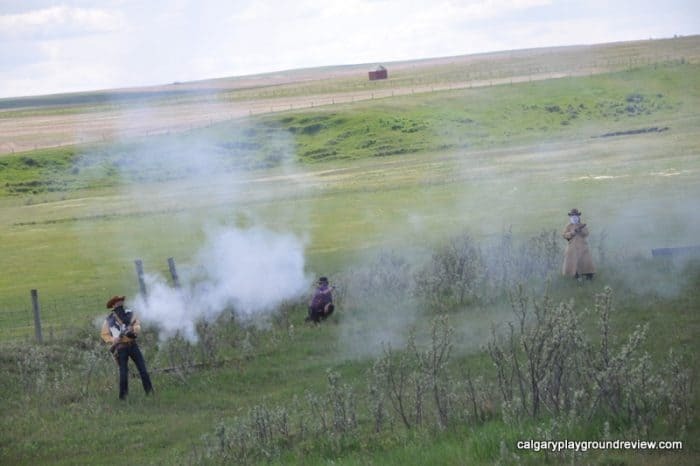 The train then departed and encountered bandits. 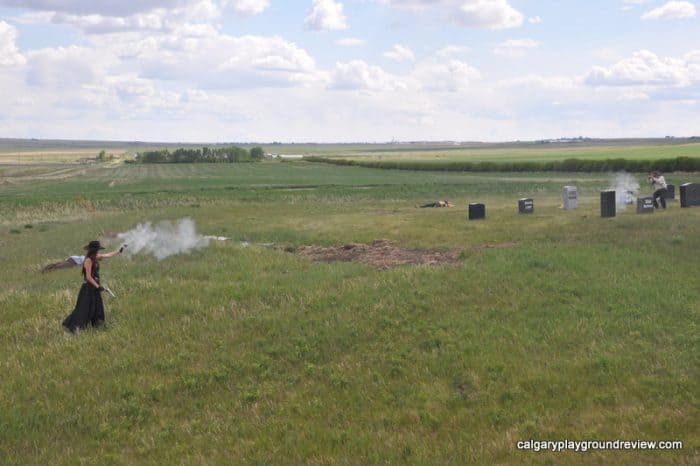 The guns are real (the bullets obviously are not) and loud and you don’t get any warning before they go off. 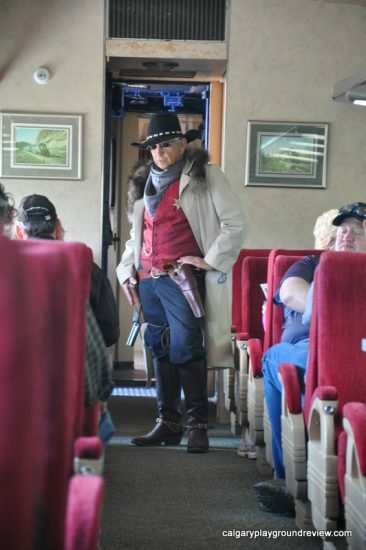 The bandits board the train and ‘rob’ the passengers. On our trip they collected money for the people affected by the Fort McMurray fire. The ride itself was really pleasant. We also saw pronghorn’s along the way in some of the fields. 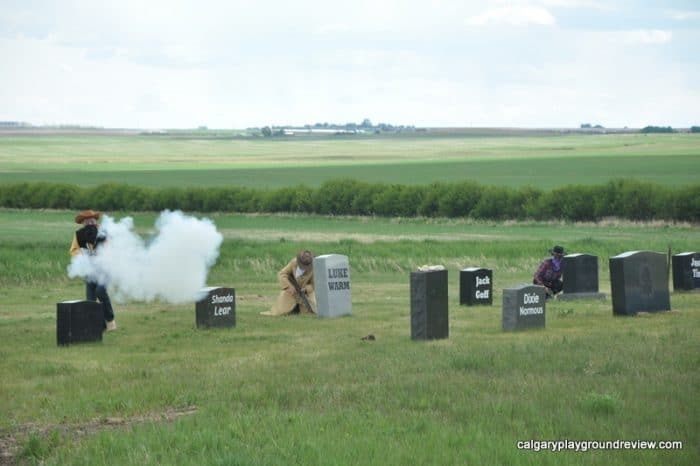 The last episode is a shootout in the ‘cemetery’. 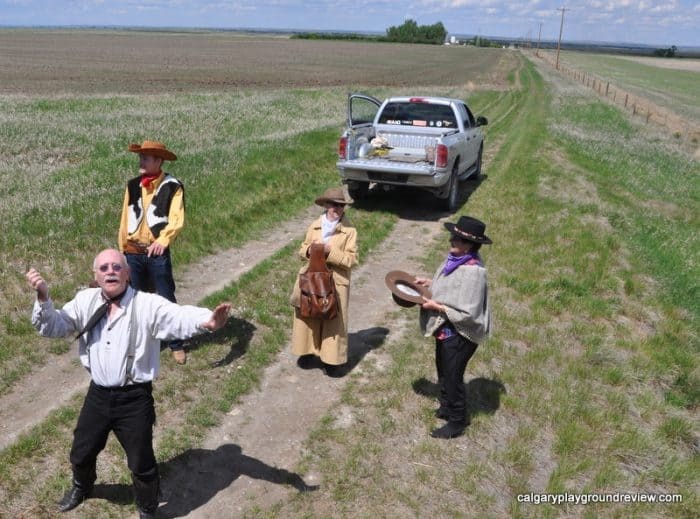 The Sheriff and his deputies save the day and recover the loot before the train returns to Aspen Crossing. We had a really great time on our excursion. 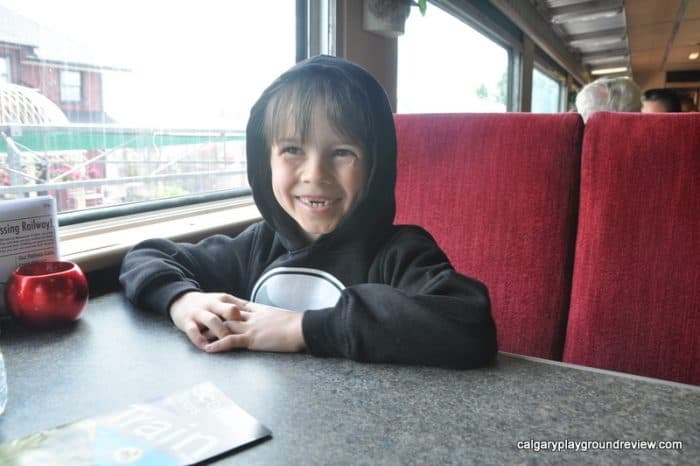 My son is a huge rail fan so getting to go on a real train ride was amazing – he’s already asking when he can go again. 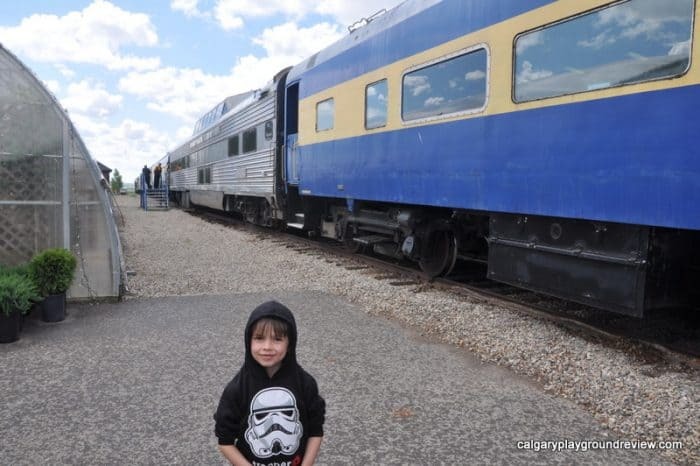 He was at a really good age for it, he was old enough to be able to handle the length of the trip (3 hours from start to finish) and to move about the train with a lot of independence. 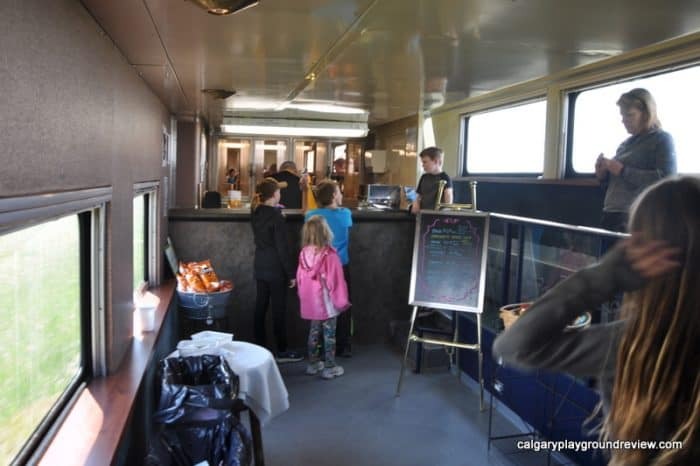 The train has a really nice relaxed atmosphere where many of the kids can safely run around together. 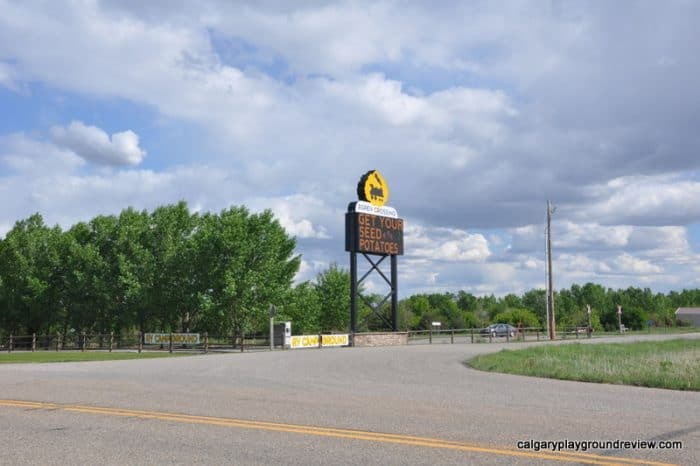 Disclosure: Aspen Crossing provided Calgary Playground Review with excursion tickets to facilitate this review. 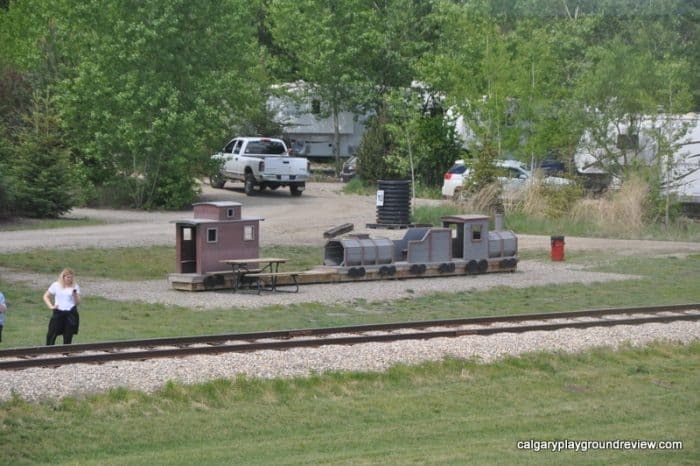 Stephen has a day job that is way less fun than writing about trains, is the dad of the Calgary Playground Review kids (Gordie, Nicky and Robbie) and occasional Calgary Playground Review contributor.